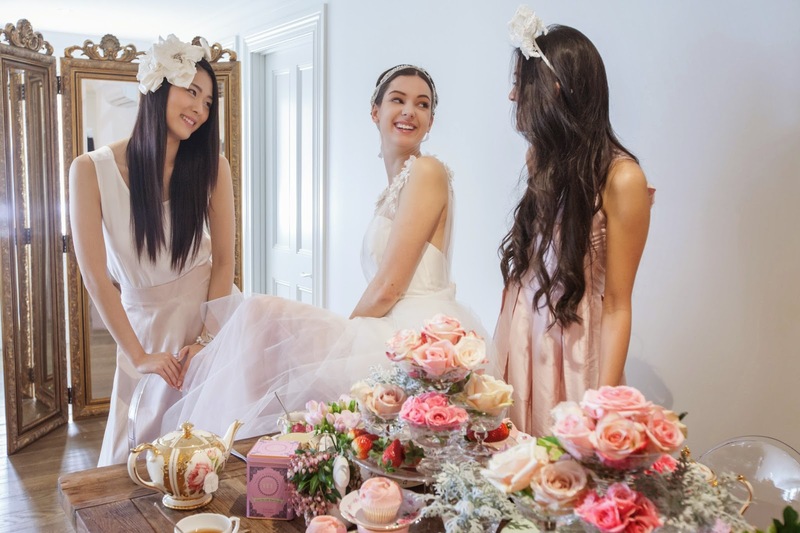 Recently we staged a bridal and bridesmaids shoot with a group of talented and like-minded friends to showcase a selection of my latest designs. 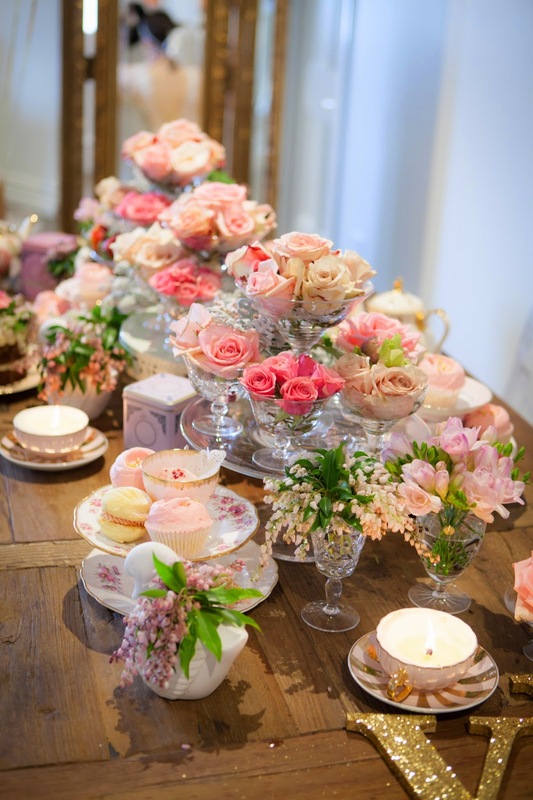 Source a beautiful vintage tea trolley or two tier table. 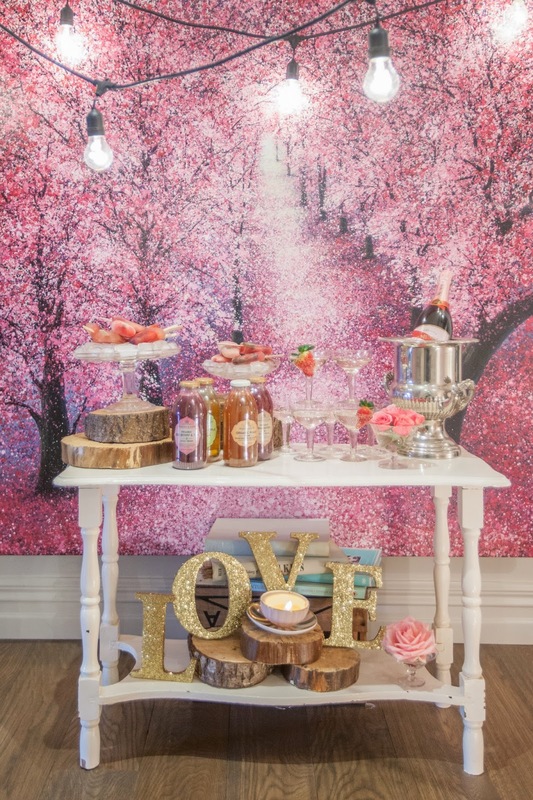 Pick a theme around your favourite themes, mine here is romance meets rustic. Gather appropriate props in relation to your theme, we have gone with glittered wooden letters, roses, old books, a teacup and wooden logs. Dream up your dream menu, and put it to reality! 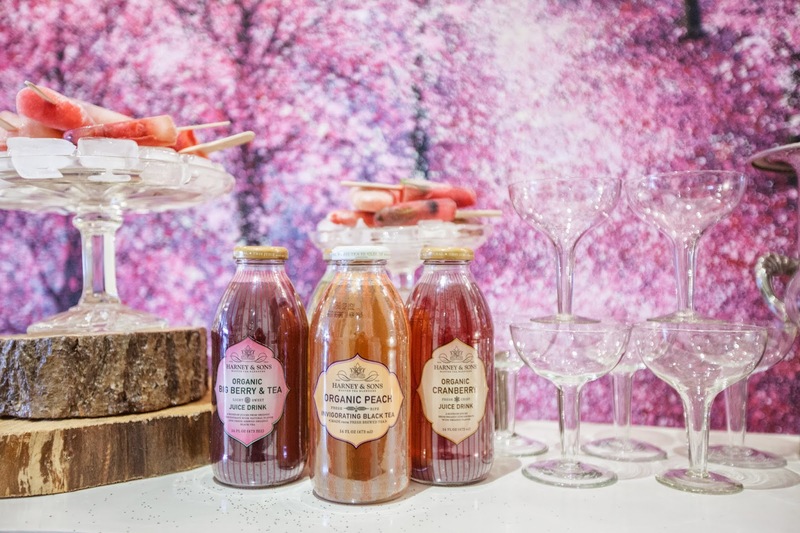 Here I have gone with champagne served with strawberries, ice blocks made from iced tea and an array of pretty berries, and lastly a selection of organic ice teas. 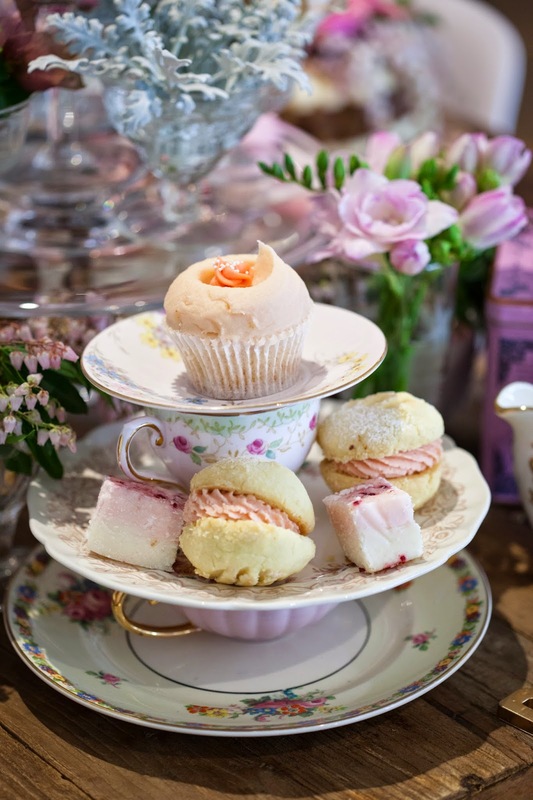 Think about your serve-wear in accordance with what you will be serving, I love drinking champagne out of champagne saucers so naturally have chosen a collection of my favourite crystal cups. 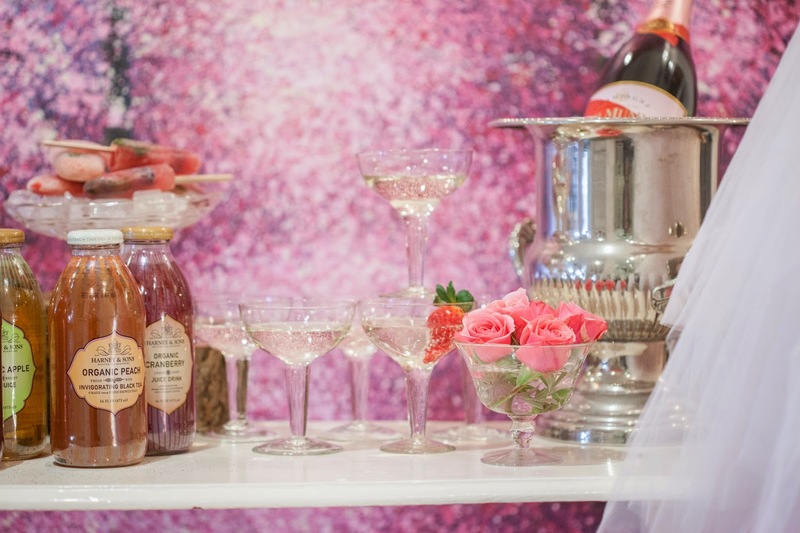 The champagne is kept chilled in a silver ice bucket while the ice blocks are presented on glass cake stands. 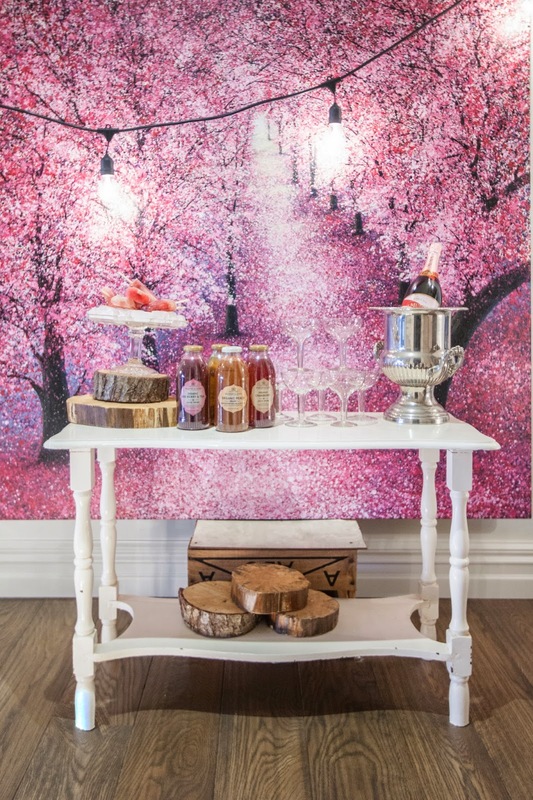 When styling it altogether, think about aesthetics, proportions and easy accessibility. Utilize your props to create height and interest. Also think about the overall space you want to display in, here I have found a space in front of a personal favourite artwork of mine and have also strung up some festoon lights. And viola! 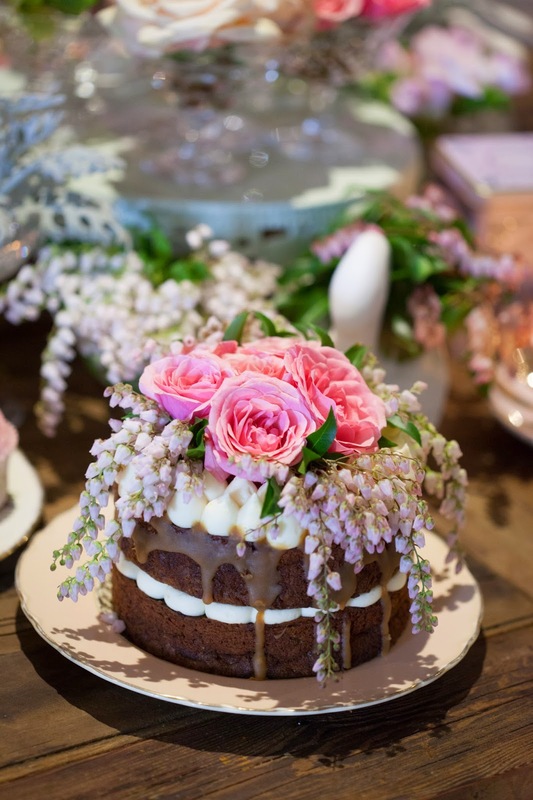 Step back and admire your display before your guests come and kindly devour your hard work! 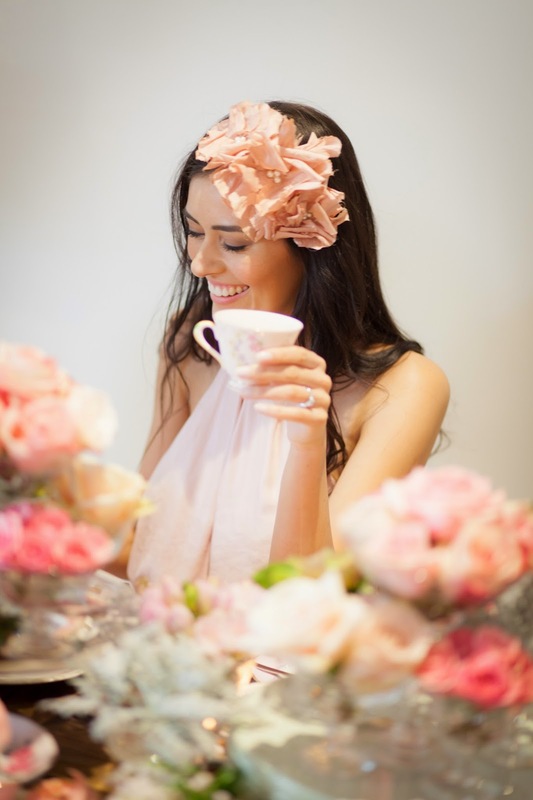 Over a cup of tea, Natalie will meet with you and seek out your inspirations and personal style. 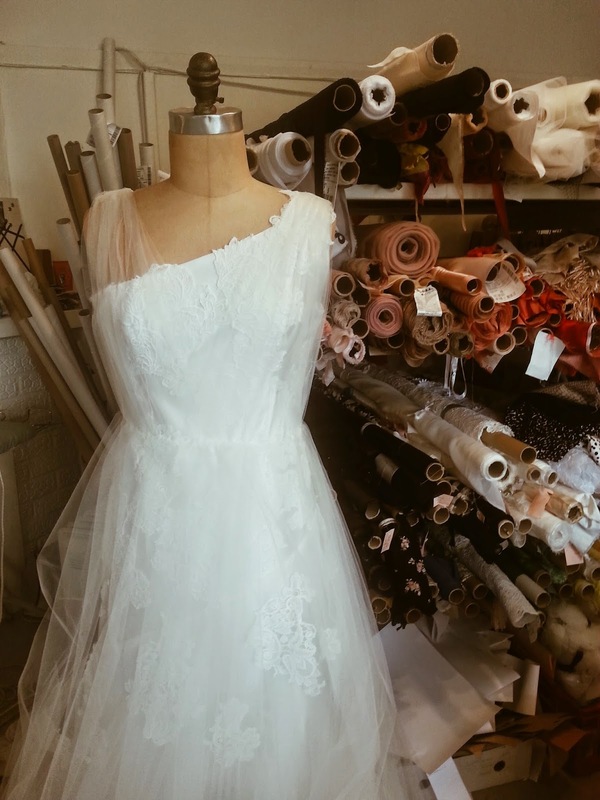 No matter if you have set ideas on your dream gown or if you have absolutely no idea! A great way to gather your ideas is to create a scrapbook or a pinterest page, bringing this along would be great to share as usually your points of inspiration will have a common recurring theme. 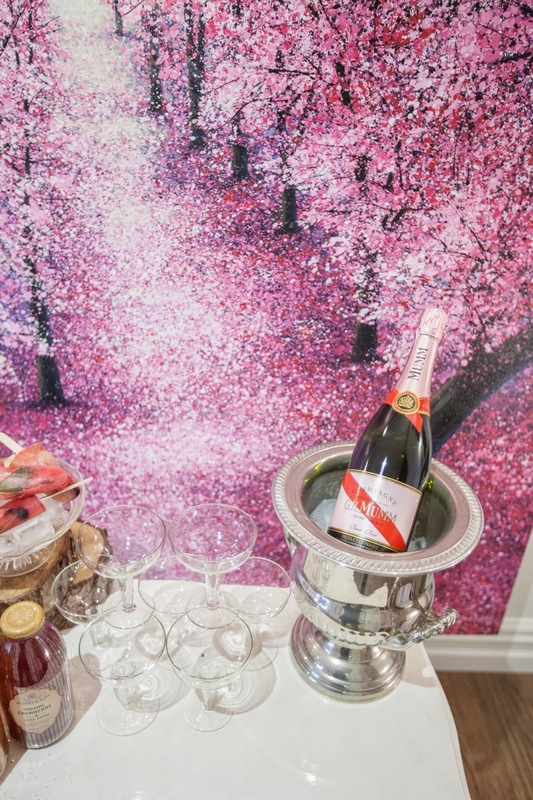 Natalie will converse with you and enquire into things like your choice of location and other details of your wedding, as a gown style appropriate for a beach wedding will differ to that of an indoor winter wedding. Once a general style is agreed upon, you may try on a few designs from our ready-to-wear collection which could suit. Going down the ready-to-wear path is cost effective and cuts down on time of fittings, our bridal gowns are all made in NZ and exclusively designed. If you choose to have a bespoke gown a design is sketched up for you, suitable fabrications will also be shown and sampled on a swatch card. Christian Dior fits a model. Image from pinterest. 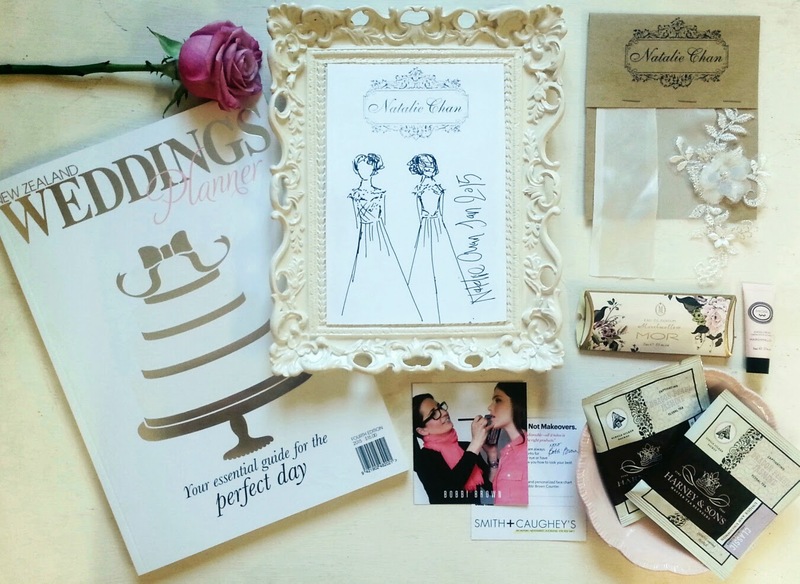 We pack a bespoke bridal pack for our brides-to-be which include a Natalie Chan illustration and fabric swatch card, an NZ Weddings wedding planner, a Bobbi Brown makeup trial offer, a sample of MOR products and a Harney & Sons tea sachet. We encourage our brides to come away with their proposed design and to have a think about it over a few nights before confirming. 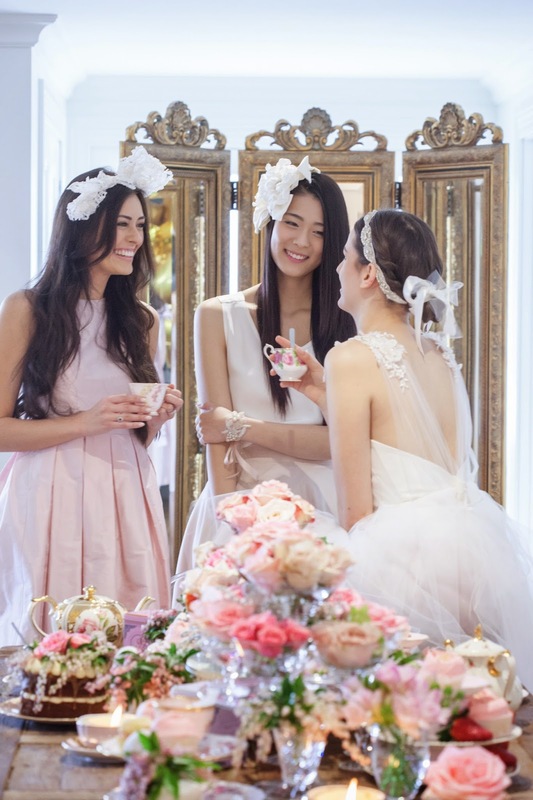 We realise your dress decision is not one to take on lightly and should never be forced or rushed into, ultimately finding the right dress and dress designer is a journey and one that you want to cherish! 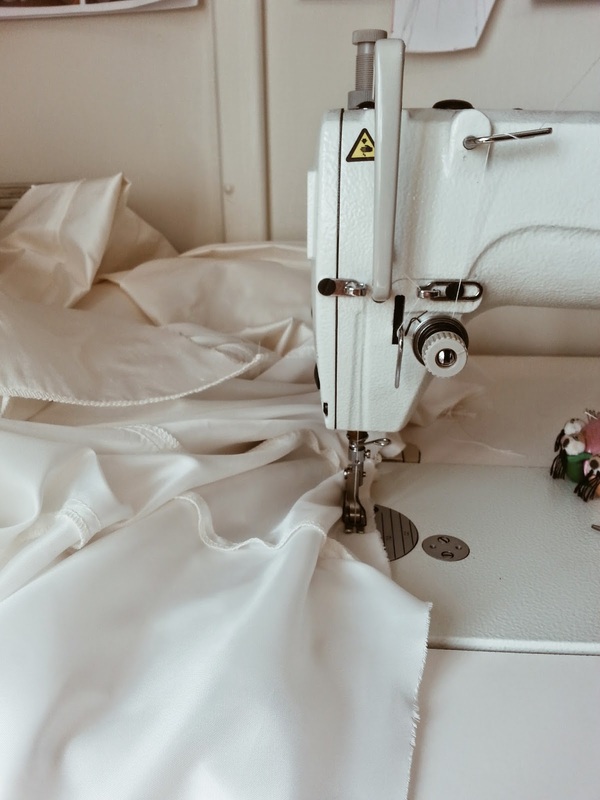 Here at Natalie Chan HQ we take great pride in precious craftsmanship through creating all of our designs be it dresses or head wear, in house. 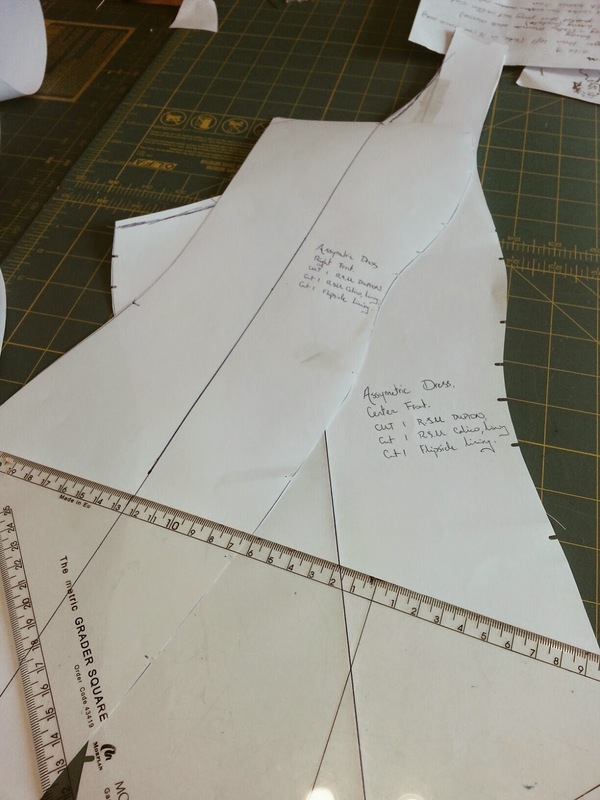 This means the entire process from designing to pattern drafting to cutting, sampling, and constructing is all completed by our dedicated team of fashion trained staff in our (ever so cosy, but at times rather cramped!) atelier above the boutique. 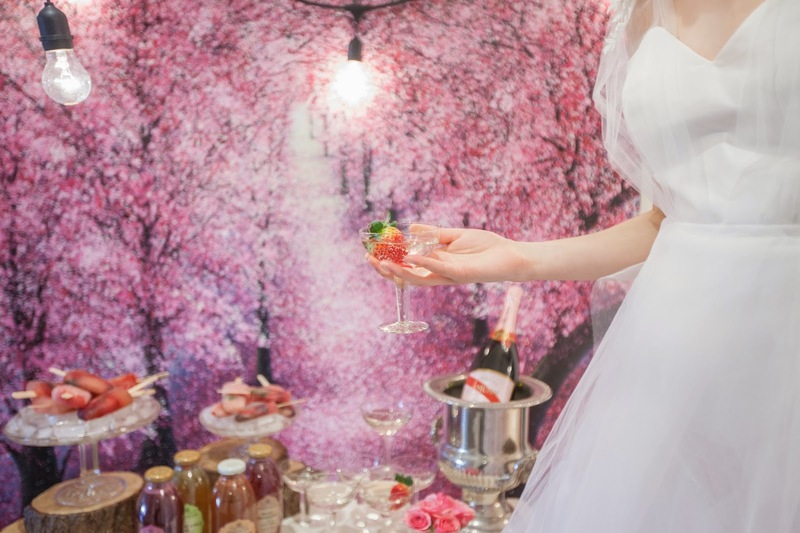 In the lead up to our very first couture bridal collection launch later on this month at the amazingly hospitable Sofitel, we bring you an exclusive behind the scenes snippet at the process of creating one of our new couture bridal designs. After a design is finalised, we get set to drafting a paper pattern off from a standard dress block that we have in our pattern archives. Another piece of the pattern puzzle, how many pleats can you spy? 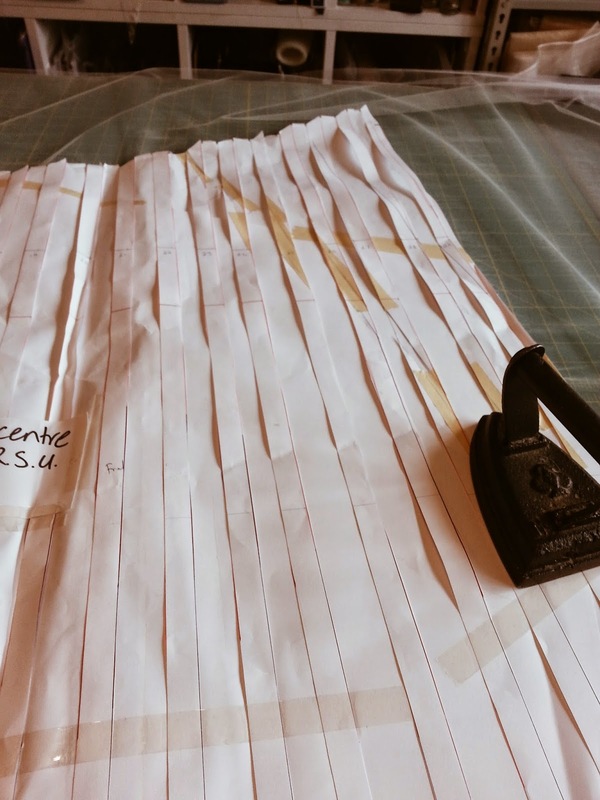 Here we have already drafted a pleated pattern for the skirt component of the dress and prepare to cut out just one of what will be multiple layers in bridal tulle. After all is drafted and cut, we take to the industrial sewing machine and start constructing. Many layers make up a Natalie Chan couture gown and this includes an inner lining which is what is being sewn above. With the bodice fully sewn up by machine now we take to the art of hand appliqueing, the photo shows cotton lace guipure skillfully pinned on before being completely sewn on by hand. 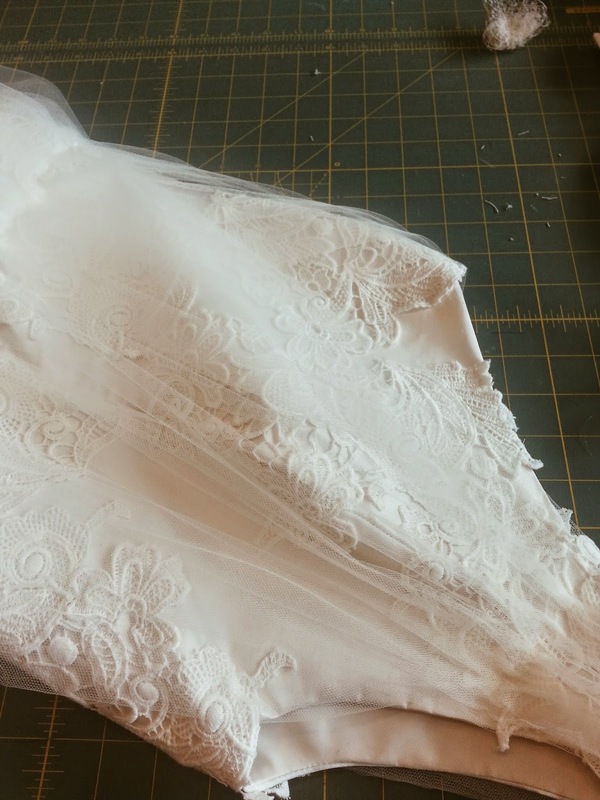 In what will be the final component of the dress, fine bridal tulle is hand draped over top the bodice veiling the layer of lace guipure underneath to add varied texture and dimension to the gown. And here we have it, the 'Amelia' gown. Looks easy enough in the photos, doesn't it?! There are of course a plethora of photos we could show you to detail the entire process in specific, but some secrets are best kept we think! We can't wait to present to you an image of the whole dress along with 19 others in its full context as we prepare to launch in 9 days time.